VOW is helping resellers address increasing end-user concerns about data security after becoming the sole UK distributor for a range of global market-leading solutions. The major business products and facilities supplies wholesaler has signed a ground-breaking agreement to provide – and offer exclusive pricing on – customised portable USB and data encryption solutions developed by Swedish-based company CTWO Products. CTWO’s security division offers hardware and software-based encryption, portable software security, USB anti-malware and keyboard protection, plus other products and services, including a password rescue option. The organisation’s Safexs encryption range offers qualities such as speed, ultra-portability, strong military grade encryption, cross-platform support and a unique hybrid engine. The range is used globally by Fortune 500 companies, educational institutions and healthcare organisations, plus local and national governments. Its secure USB drives are the only ones approved for use within the National Health Service. In addition to the Safexs range, CTWO provides USB, mobile and computer offerings. Its other USB items include memory devices and own-design solutions, while its mobile range encompasses phone accessories, sound products, chargers and shells. CTWO’s computer goods include iPad and notebook accessories, plus mice. 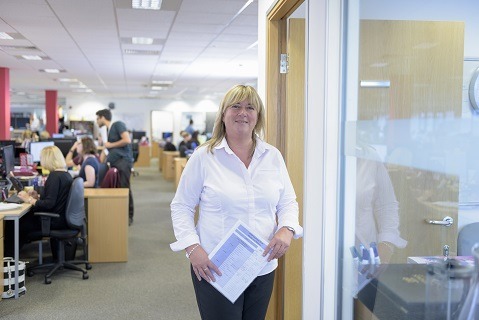 Announcing the new relationship, Gilly Blackburn (pictured), VOW’s category director for technology products, said: “We’re delighted to have concluded this deal with CTWO, the leading manufacturer of its type in the world. It’s exciting that we can now add the group’s outstanding solutions to our existing product range, which already numbered 24,000 items, and featured a comprehensive range of data encryption solutions, including offerings meeting the US government’s Federal Information Processing Standard. CTWO products provided by VOW will all comply with the General Data Processing Regulation, which takes effect next year. Founded in 2003, CTWO Products is based in Malmo and has offices in Shenzhen, China, in addition to the UK.